Back in October, my brother and hubby did the Xterra Triathlon up at North Lake Tahoe. 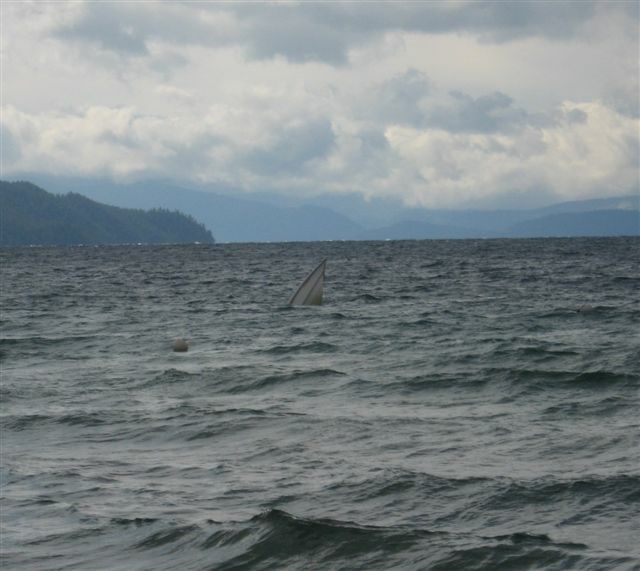 The day of the race, the water was so rough that all small boats were ordered off the lake and the swim part of the triathlon was cancelled. 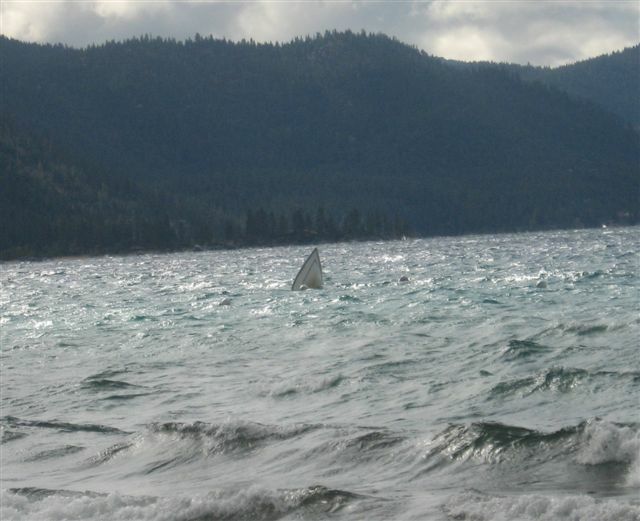 I just remembered that I never posted the below pics, which show that when there is a small boat advisory on Lake Tahoe THEY ARE SO NOT KIDDING.